And another lovely silver box by Jean Wilkinson! 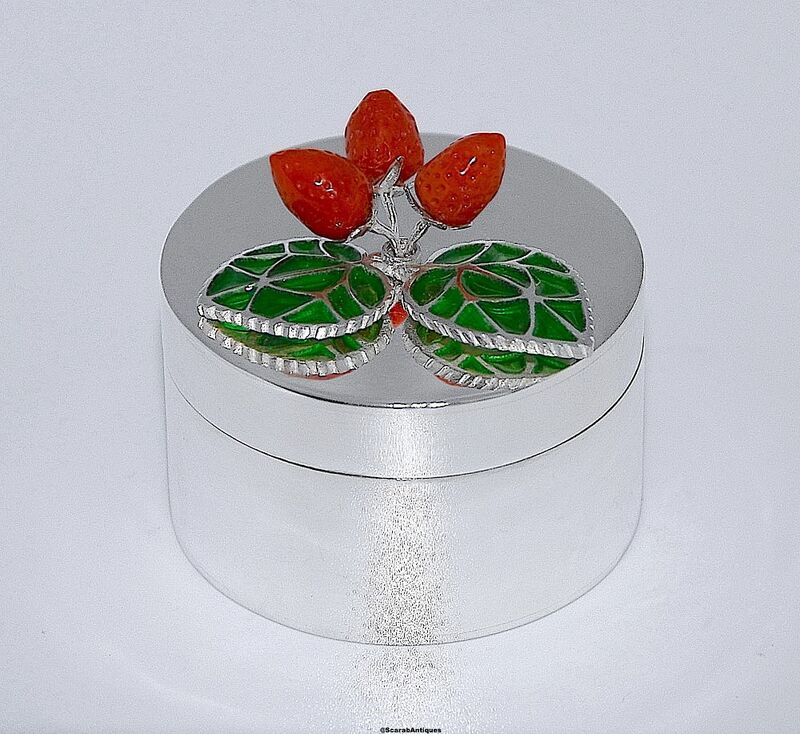 This time the lid has green plique a jour enamel leaves and 3 coral strawberries. The base is hallmarked by the London Assay Office for silver and 2018 and has Jean's sponsor's mark "JW".